Correction: The article initially stated SLOCEA’s demands would cost the county an estimated $2.86 million in the current fiscal year and an estimated $3.94 million in annual ongoing costs. However, those are merely the costs of the pay structure that has already been implemented. As about half of the San Luis Obispo County government workforce prepares to go on strike this week, union members are not only arguing they are underpaid, but are pointing the finger at county management for giving themselves raises. Meanwhile, county officials say they have already granted union members raises, and the additional pay increases being demanded are not affordable. 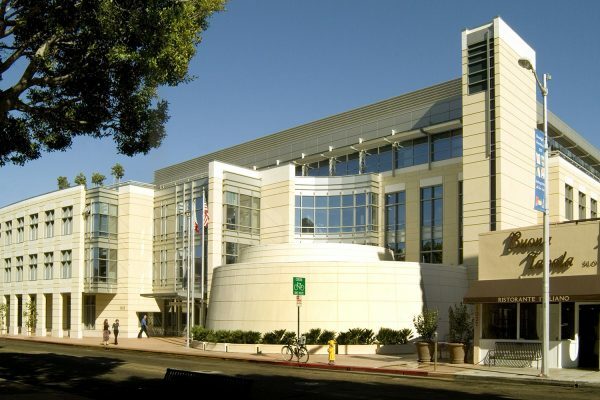 Failed negotiations between the county and its primary employees union, the San Luis Obispo County Employees’ Association (SLOCEA), have led to a strike being called for Tuesday through Thursday. All public library branches in the county are scheduled to close, and multiple mental health services will also shut their doors or cut their hours of operation, as about 1,600 county workers could strike. Negotiations between the county and SLOCEA over a new agreement on union member pay began in Jan. 2018. The negotiations moved on to mediation and then a fact-finding stage. Even though a third-party fact finder recommended 3 percent raises for SLOCEA members, the county offered the union .5 percent raises, effective July 1, 2018, and 2 percent raises, effective July 1, 2019. A tentative agreement was reached on the proposal between the county and SLOCEA negotiators, but a majority of union members then voted down the deal, prompting an impasse. The county has since implemented the terms of its offer for the current fiscal year, giving SLOCEA members .5 percent raises, retroactive to July 1, as well as benefit increases. But, SLOCEA is still demanding an additional raise of 2.5 percent for the current fiscal year. The existing terms that have been implemented will cost the county an estimated $2.86 million in the current fiscal year and an estimated $3.94 million in annual ongoing costs. County Administrative Officer Wade Horton has said several years of budget surpluses allowed for salary increases, including a 12.5 percent wage increase for SLOCEA since 2014. But the situation has changed, and the county must be fiscally responsible, Horton said. Union members argue their pay is not keeping pace with the rising cost of living in SLO County, and they are not compensated as well as comparable government workers elsewhere. Likewise, some SLOCEA members have argued they deserve higher raises, while pointing out that certain high-level county employees make lavish salaries, and recently received a raise of their own. In a little-noticed move earlier this fall, the board of supervisors approved raises for management employees that will cost the county about $2.5 million a year on an ongoing basis. Rather than holding a hearing on the matter, the board approved the pay hike as part of its Oct. 16 consent agenda. The pay hike consisted of raises for a group of 420 unrepresented employees, which includes elected officials, department heads, general management and operations and staff. The raise amounted to salary increases of .5 percent for most unrepresented employees, effective retroactively to July 1, 2018, and 2 percent raises, effective July 2, 2019. The raise also included increases to cafeteria contributions for health coverage and a deferred compensation match for employees enrolled in the deferred compensation plan. Two unrepresented employees received significantly larger raises. On top of the .5 percent raises, the county director of airports received an additional 11.41 percent pay increase, and the veterans’ services officer received an additional 7.37 percent increase. Pay for those two jobs lagged significantly behind the market and there is a critical need for the positions, according to a county staff report. Additionally, the county emergency services manager received a 2.8 percent raise. There is a critical need for the emergency services manager, and it is important to maintain a qualified and experienced incumbent in the role, according to the staff report. Furthermore, effective July 1, 2019, management and supervisory positions that are determined to be 5 percent or more below the market median or that are impacted by internal alignment, recruitment or retention issues will be eligible for additional salary increases of approximately .75 percent. The total annual ongoing costs of the management raises approved in October is $2.48 million, according to the staff report. Prior to the recent raises, many management-level employees were already receiving salaries that critics point to as being very high. In 2017, six SLO County employees made more than $300,000 in total pay, while 13 employees received more than $250,000. The medical director of County Mental Health, M. Daisy Ilano-Ramos, amassed more than $500,000 in total pay last year. Ilano Ramos received $506,695 in total pay, with less than $100,000 of that total coming in benefits. Among notable high-level employees, County Counsel Rita Neal received $316,466 in total pay, Sheriff Ian Parkinson received $315,351, District Attorney Dan Dow received $312,991 and Health Officer Penny Borenstein received $304,781. A lesser-known staff psychiatrist, Anup Sidhu, received $378,461 in total pay last year.